Here’s the video of the best bootleg I’ve ever seen. Here’s the craziest thing about it. Peyton Manning didn’t tell anyone, even his linemen, he was running the naked bootleg. Decided to do it just before the snap. 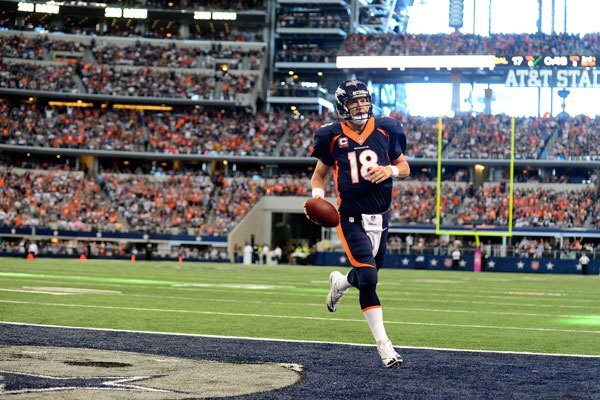 Manning said he was the only one that knew he’d keep the ball on his TD run so that everyone else would sell the RB run better. This freaking guy. He’s tricking his own teammates so the defense won’t know what he’s doing. Never heard of such a thing. Unreal. This entry was posted in Football, NFL and tagged Peyton Manning. Bookmark the permalink.